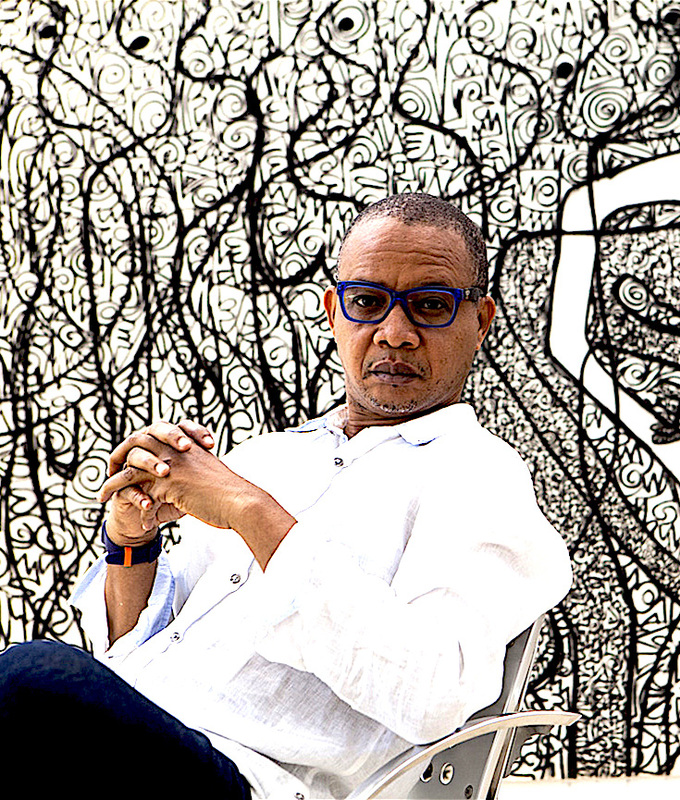 The Future of Nigeria’s Art World Is In the Hands of its Young Artists Victor Ehikhamenor is an award-winning writer, photographer and visual artist who’s had a career that spans over two decades and has covered Nigeria’s creative industry. Before his solo exhibition at the inaugural ART X Lagos, Ehikhamenor talked to Okayafrica via email about how social media has contributed to the growth of contemporary art in Nigeria, Lagos as a source of inspiration and the talented young Nigerian artists whose work he admires. Ashley Okwuosa for Okayafrica: How does your experience as a writer influence your work with designing book covers? Do you read the work before you design the covers? And if so, how does that influence how you go about designing a cover for the book? Victor Ehikhamenor: It has helped in various ways, I can catch the essence of the book quick enough. I must say my cover designs are not autocratic, the writers and publishers have a lot of contribution in the birthing of a new cover. Some work I read in their entirety to get the soul of the book, others I design based a good synopsis. Sometimes the publishers or the authors choose from my existing art as a cover. All in all, it is a collaborative effort. Photo | Courtesy Gafra Gallery of African Art. ART X Lagos has been created to contribute to the increased visibility of contemporary artists from Africa, creating a vibrant art market and positioning Lagos as an emergent cultural capital on the continent. The maiden edition of ART X Lagos will take place at The Civic Centre, a state of the art conference and banquet centre in Victoria Island, Lagos, from Friday 4th November to Sunday 6th November 2016.